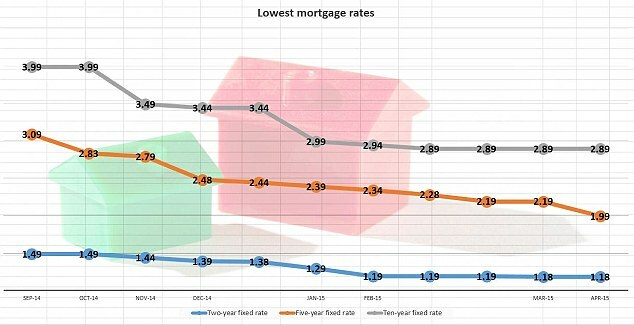 Lenders have been steadily cutting rates since the end of summer 2014, and the current crop of fixed rates now includes the lowest we’ve ever seen – with five year fixed rates available from 1.99% – there has never been a better time to fix as the table below demonstrates. Mortgage rates for borrowers with smaller deposits have fallen too, which could bring a much needed boost to first time buyers and those struggling to get on the property ladder. Remember, here at The Financial Planning Group, we are able to secure a mortgage deal six months ahead of your current deal ending, which makes it possible for our clients to reserve the best rates – regardless of what the market does in that period.